Spooky Pooky Creations: Yeti Giveway Winner! Okay everybody!! We have a winner! This little yeti is going to be making his way over to Mandy of this lovely blog! 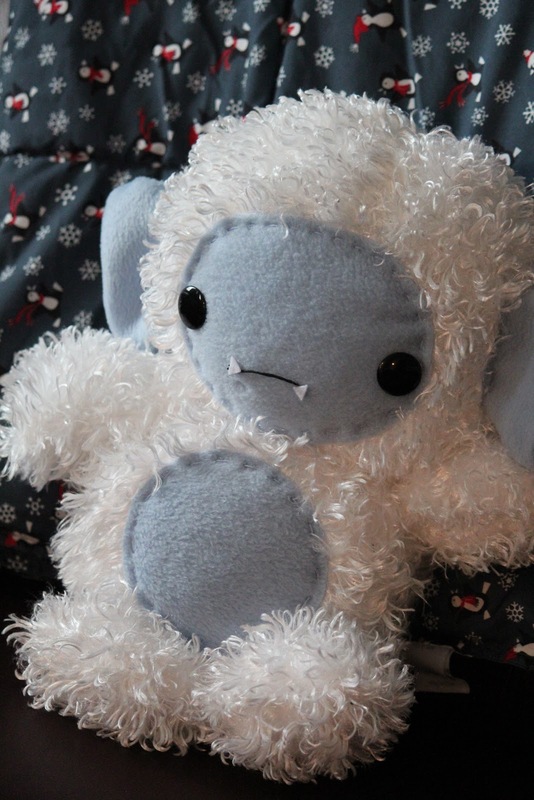 I have seen Mandy's plush and dolls on Craftster and I love them! Thank you to everybody who entered! I seriously wish I could I send you all a yeti! Thank you for entering, for the support and enthusiasm, and for helping me reach over 200 readers!! I plan to do another giveaway very soon if I can bring in some more blogger readers and reach 700 fans on my facebook! Thank you! You are all amazing! Oh... a Skeleton could be so cute!! ^^!! Like my sweety bag!! Anything you make would be awesome. I love seeing your creations. A.T. Phooonnneee Hoooommmmeee! My January Ordeal!